Posted on May 10, 2013 at 9:49 pm. We are not open Sunday – Mothers’ Day – but we are on Saturday. 8.00 am to 3.00 pm. 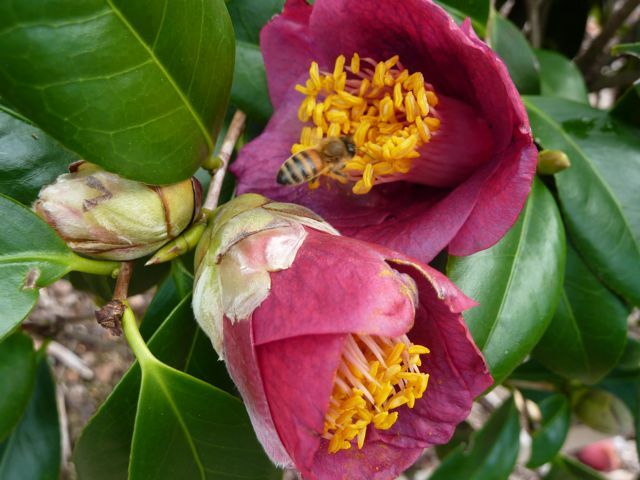 Lots of camellias to look at and lots for sale – over 200 different varieties. The sasanquas are still in flower with the early varieties like Mikuni-ko just about finished after almost 3 months, the mid season ones in full flower and the late varieties just coming into flower. And then the japonicas are starting to get serious – the early flowerers like Alba Plena, Arejishi, Takanini still going, Tama No Ura showing lots and lots of flowers as are Grape Soda and Carters Sunburst, and its ‘pink’ sport, Carters Sunburst Pink and I spied a couple of blooms on Mrs D.W. Davis Descanso. 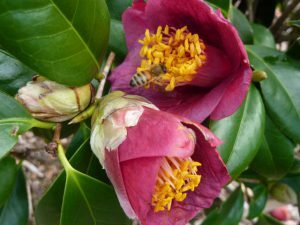 But then, with 300 in the garden, you’ve got to be unlucky not to see a bunch of camellias in flower at this time of the year. We should be able to pick 30 or 40 blooms for our display. We continue to do mail order for those who can’t get to us. Just email your wish list and we will see if we can help. The 35 new reticulatas we planted out recently are all doing well with flower buds on many and some still putting on new growth – a hangover from the crazy seasons we have had in summer and autumn. Anyway, as the days get cooler, we will see more and more flowers. Look forward to seeing some of you tomorrow. We will be open again for the weekends 18 & 19 May and Saturday only 25 May. 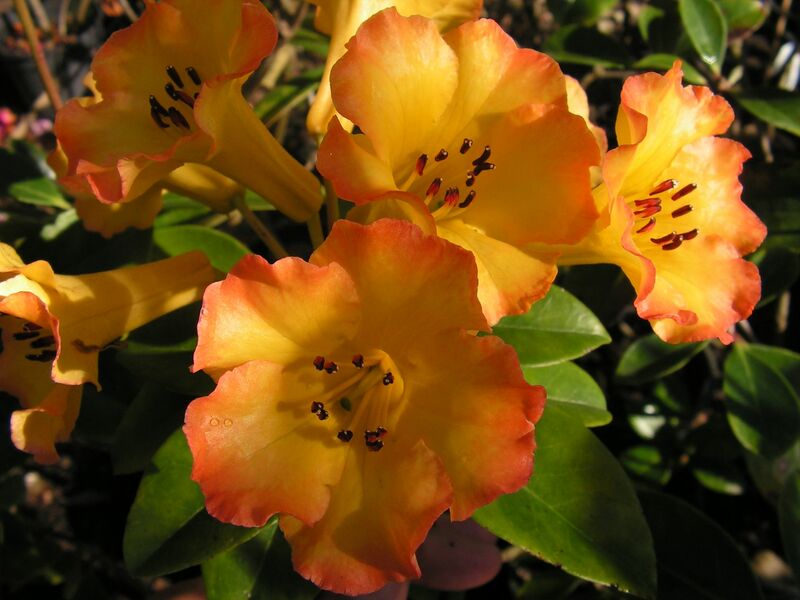 We also have small numbers of Vireya rhododendron available for sale as well – and there is always one of those flowering.